Press ENTER from here to jump to page content. Press TAB from here to jump to the menu. TAB - Will move you one item at a time progressively through the menu. LEFT/RIGHT ARROW - Will move you back and forth through the main links in the menu. UP/DOWN ARROW - Will move you through the submenu for each main link in the menu. ESC - Return to this information again. 796 N. Van Dyke Rd. 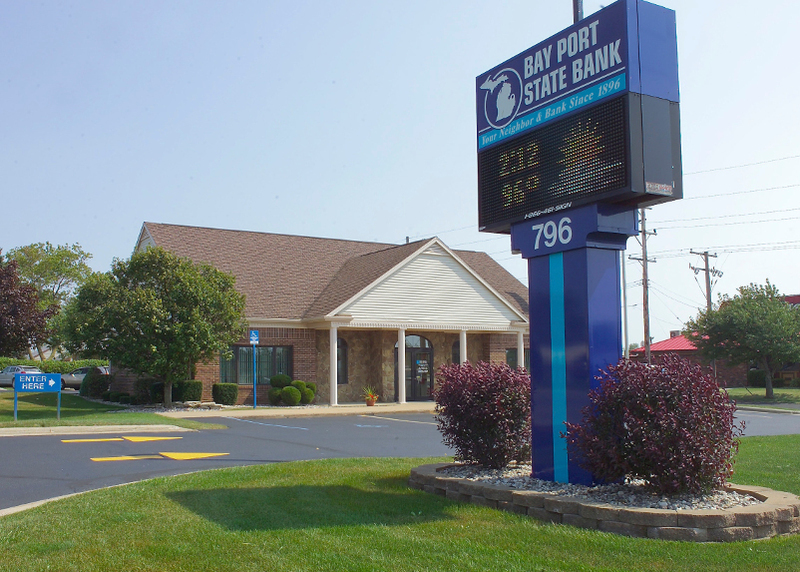 Cash Dispense Machine with 24-hour access located in the Bay Port Branch entry way. Full Service Machine with 24-hour access located in the Bad Axe Branch drive-thru. Full Service Machine at the Caseville One Stop Shop located at the corner of M-25 and Caseville Roads during store hours. Full Service Machine at the Elkton One Stop located at the corner of M-142 and Maude Street during store hours. Cash Dispense Machine at The Sebewaing Market during store hours. Full Service Machine for 24-hour access located at the Pigeon Branch drive-thru. 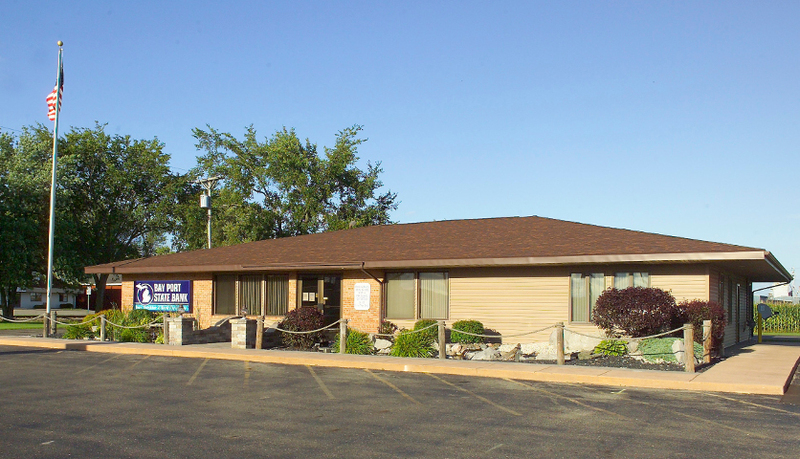 Full Service Kiosk with 24-hour access located next to the One Stop Shop just off of M-53. 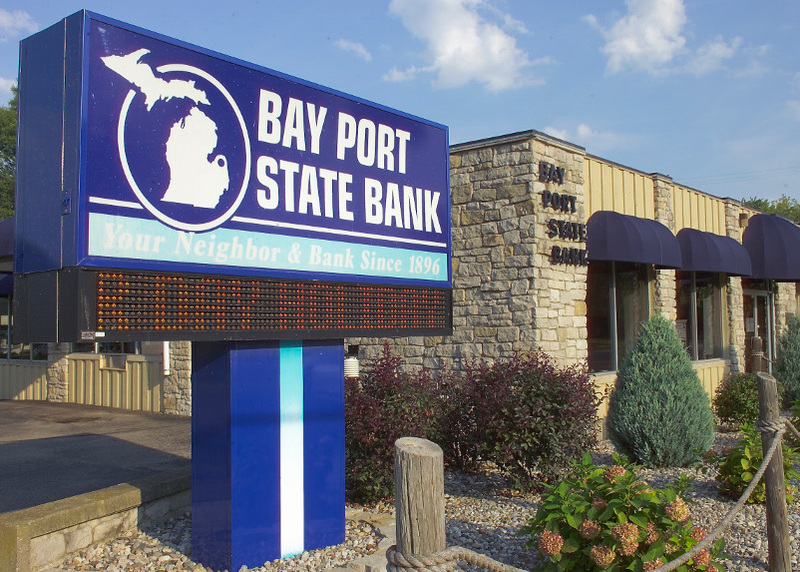 Copyright Bay Port State Bank ©2019. All Rights Reserved.